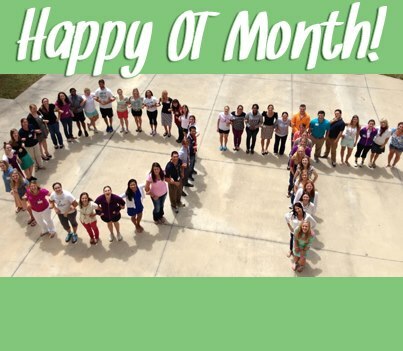 This photo was done by the University of St Augustine, in FL, for OT Month! (Always April). 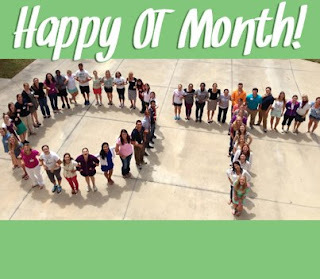 Consider uploading your own versions on Facebook, Twitter, blogs…with OT that you wrote in sand, with rocks, with Wikki Stix, Theraputty, bodies, silverware, anything you can think of….